Olive Belgravia-Elphinstone-Van Aston-Peredin Bauer. A four times married billionaire heiress, fashion muse, arts patron, and avid collector of jewels and antiques, it is a name that conjures up images of the high life, of riches and fame, and of many marital troubles. 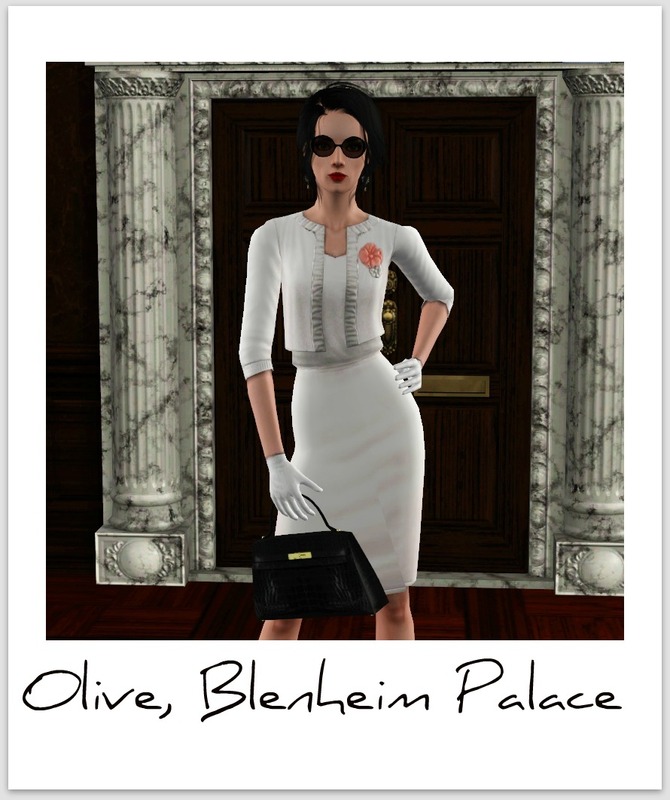 Sitting down with Olive Belgravia is an experience in itself. The queen of high society, who now goes by the name of her current husband, Charles Peredin-Bauer, smiles warmly as she settles down in the seat opposite us at The Samovar, the legendary Bridgeport restaurant. Heads turn to listen as she skips lunch (“I’ll eat when I’m dead!”), opting instead for a simple glass of champagne, crossing her stocking encased legs before adjusting the flawless Chanel suit and taking a deep breath. “I’m ready.” She breathes with excitement in her voice. And excited she should be – we have a lot to discuss. Notorious for her tight lipped stance on her personal life, she has always employed the air of the less available you are, the more exclusive you become. Now we will discuss all. 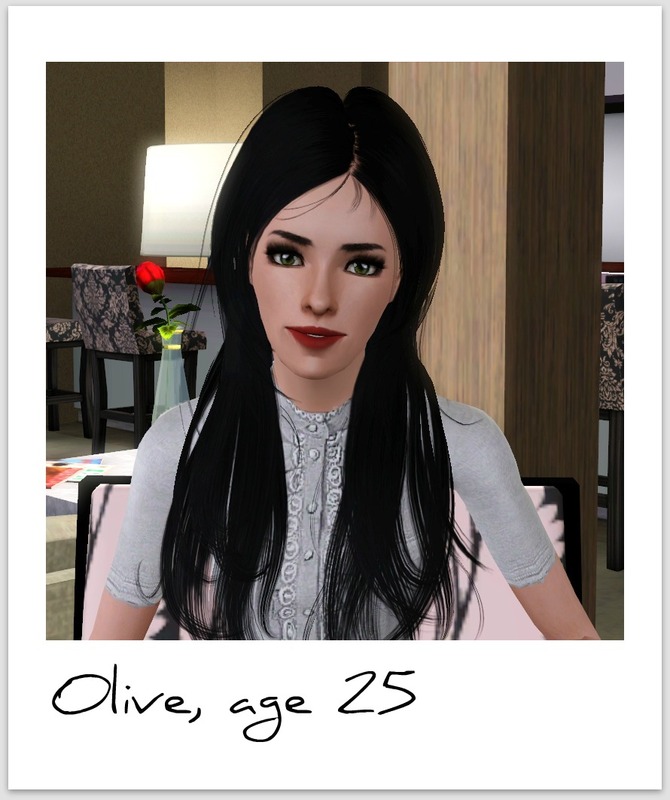 Born into the wealthy and prominent Belgravia family, Olive grew up in the lap of luxury, while she didn’t quite lead the lifestyle she does now (her family had a sprawling suburban home in the Redcliffe hills) it was an extremely comfortable life. Four siblings (Tommy, Kitty, Oliver, and Cora) kept her days filled, but, unlike her siblings, she never saw a clear cut future for herself, leaving her with feelings of inadequacy at her seeming lack of ambition; little did anyone know she would go on to become one of the richest Belgravia’s of them all. For all our new readers or those less versed on the Belgravia family we feel obliged to give a little background to which you can place Olive into. Her grandmother is Lily Belgravia, the legendary actress who you have, no doubt, seen in at least a dozen movies. A three time Oscar winner who successfully broke into the business world with her line of fragrances and handbags, she created an impressive fortune for herself, most of which she bequeathed to her three daughters. 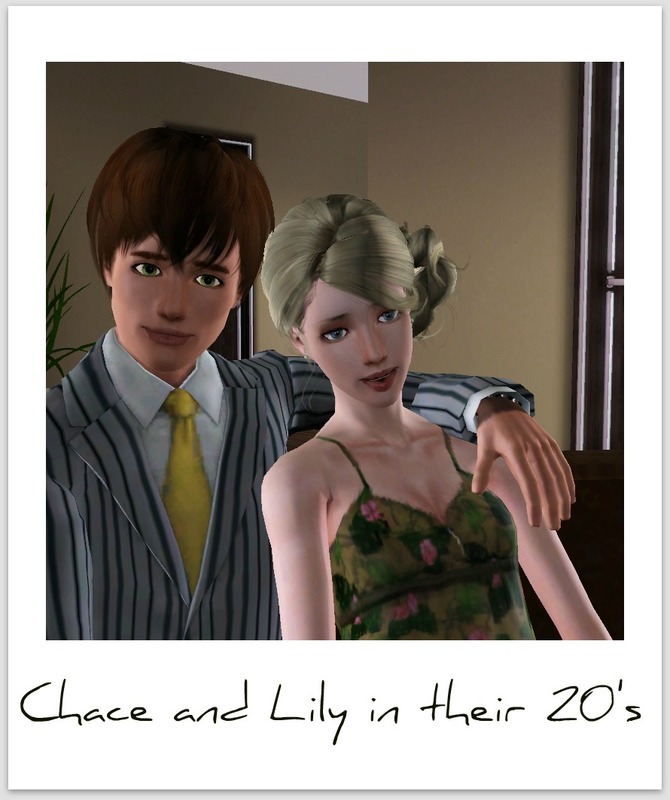 Perhaps even more impressive than the great Lily, but far less well known, is her husband, Chace Belgravia. Creating a fortune numbering in the tens of billions with Belgravia Industries International, he declined to leave his mammoth fortune to his daughters – they hardly needed it with the money they received from their mother – instead setting up ‘The Belgravia Trust’ a stack of money so large it has been surrounded in mystery and rumour for the hundred-or-so years that it has sat in the bank; some say the fortune is 20 billion, some say 100 billion dollars sits there, however much it is one thing is sure – it is always growing, the trustees who protect it number among the brightest business minds of the age, and continual investments keep the dollars flowing in. Protected and administered by a board of twelve trustees, every member of the family will receive a large chunk of money on their thirty fifth birthdays – the idea being that by that time they should have established themselves in a legitimate career, and the money will only exist to help them better said career. It just so happens Olive has received her own portion of the trust just last year – turning 36 a few weeks ago – but she declined to comment on the amount, tilting her head shyly and calling it ‘personal’. Despite the trouble that can come with wealth, the family lived a happy life, after the birth of Arielle (Olive’s mother) the couple went on to have twins Oriana and Alexandra, before Lily had a hysterectomy, telling the press at the time she had no desire to ever have more children. A wild streak existed for Arielle when she inherited $30 million on her 18th birthday, proceeding to by the biggest apartment in Bridgeport, the famed Belgravia Triplex at Breach House (a property which she still owns, although she does not live there) and a constant streak of clubbing. Marriage to French painter Leonardo tamed Arielle, and (to the chagrin of the world press) she proceeded to fade quietly from the limelight into a suburban life in Redcliffe. Divorce followed the couple after the birth of their first child Tommy, and her second marriage (which she is still in after many, many years) to musician and world-renowned maestro Noah Belgravia followed, going on to have four more children. 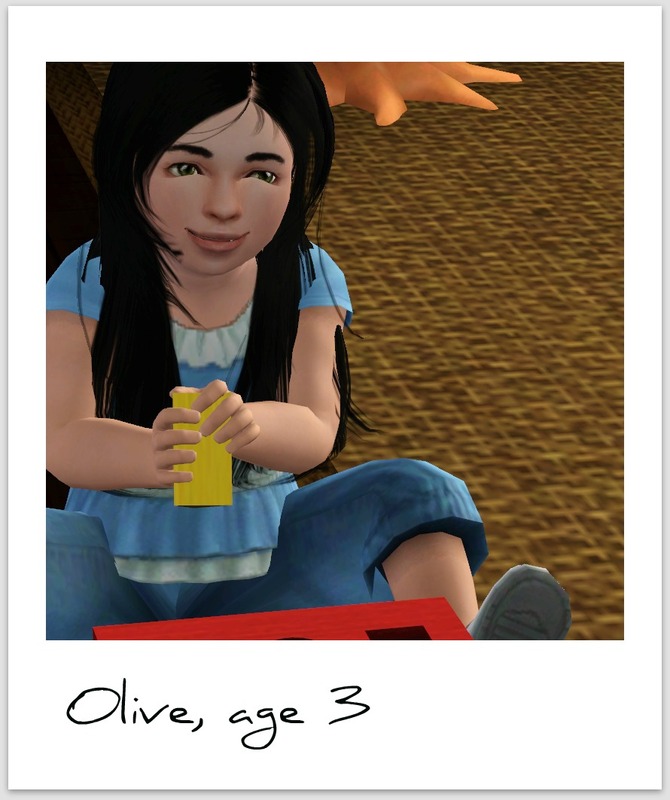 Child number three for this couple was non other than Olive. With her aunt Oriana a famous rocker married to the musician of the century (both known for their wild drug antics as well as their music), and the famed fiction writer Alexandra Belgravia-King as her other aunt she was sure to lead an interesting life from the get go. “I recall my aunt Oriana visiting the house a few times, my mother later told me it was to ask for money,” Olive explains as we mention her aunt, “but she always seemed quite fun to me, always letting us play on her guitars and such, though that dreadful Jasper had the most frightening vacant eyes, and would light up his cigarettes in the house… to my mothers fury!” She recalls with a laugh. Growing up Olive felt in the shadow of her siblings, all of whom had very clear career goals. Tommy dreamt of superstar athleticism, a goal which he soon achieved and now, along with his husband Austin, is a star of the Recliffe tigers. Kitty had journalistic aims, and also achieved them – she is now editor in chief of DIALOGUE, a prominent New York magazine. Oliver – who probably needs no explanation – spent his days painting, and now has art hanging in every prominent gallery and every household wealthy enough to afford his exquisite work. 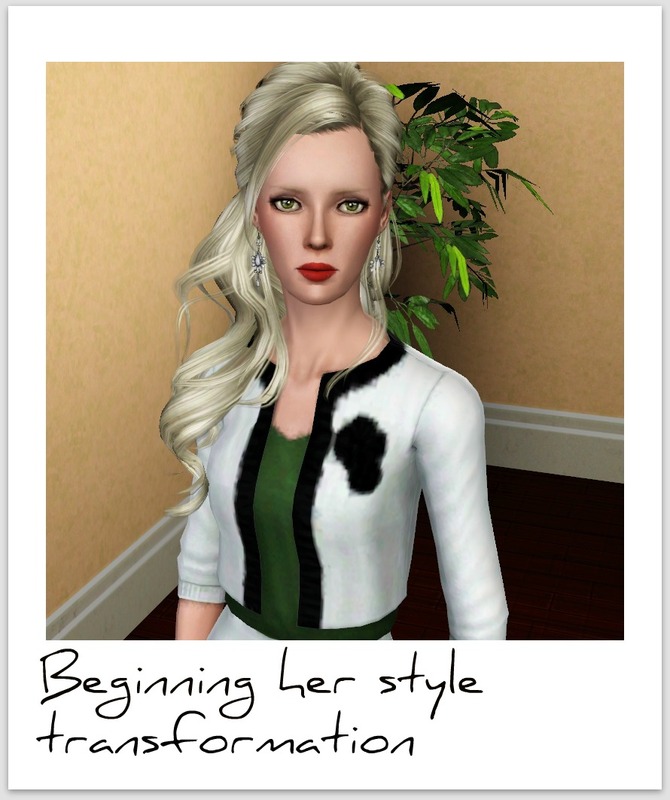 Cora, her youngest sibling, had dreams of musical stardom, and aided by her aunt Oriana she soon achieved that goal, and now enjoys a relatively successful career in the indie music scene. 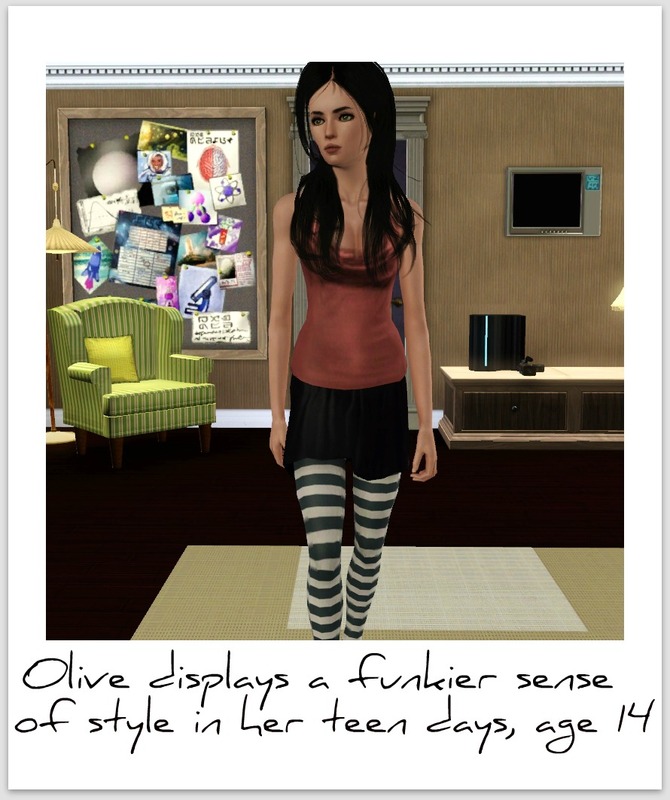 Meanwhile Olive would flick aimlessly through fashion magazines and gossip continuously with her friends via the internet and phone – both talents which would come in useful later in life, when she started to be critiqued by the fashion world for everything she wore, and when one bitchy word from her could send a would-be socialite straight to the bottom. Leaving home at 16 Olive headed for Miami with friends, where she began partying and drinking. While she may look back on Miami as ‘tacky’ now, back then Olive Belgravia was a well known party girl and budding socialite on the Miami scene, a city which she would soon change for the much more desirable land of Europe. After a brief relationship at the tender age of 17 which she ‘does not wish to discuss’ which produced her only daughter Electra, Olive met Maxwell Elphinstone. After a lavish wedding which included a moment of panic for the bride when she ran from the ceremony after the vows had taken place in Westchester, NY, Olive boarded the private Elphinstone jet and headed for a new life in Europe. While the Elphinstone family maintains a large estate in Westchester, they are originally from Europe, and own many estates in the French Riviera. It seems unlikely that Olive could meet such a man in a bar – but meet him she did, and a very lucky meeting it was, for the Elphinstone name would help Olive forge a path through the bounds of European socialites to the top of the ladder. While the Belgravia name is known across America, in Europe at that time they were just whispers of Lily’s name from the few who had shipped her films over and could speak English to watch them; the Elphinstones were much more prominent. At the time of Olive’s marriage to Maxwell they were headed by Elizabeth Elphinstone, the famously pearl-draped and pink-clad matriarch of the family, who has donated millions of euros to charity over her years, and who has friendships with Windsors and Rothschilds. The animosity between the two may have added to the eventual split between the couple, but, after the birth of Sebastian, Olive says the two fell into an uneasy truce. “Maxwell had no heir at the time of our marriage, he was getting on, and Elizabeth was desperate for a little boy to continue the family. I’d have never got so much in the divorce if little Sebastian had been a little Sarah.” She laughs dryly as she explains the archaic attitude of the Elphinstones. Olive continued her ascent up the social ladder with all seeming well, with her and Maxwell even being dubbed ‘the happiest couple in France’ at one point; but unbeknownst to everyone the marriage was suffering extreme difficulties. Rumours have abounded about the marriage for years, with multiple women coming forward claiming to have slept with Maxwell at the time of his marriage to Olive, although they have all faded away after alleged meetings with Elphinstone family lawyers. The influence of Elizabeth is all over them. Divorce soon followed, and although no official amount has been disclosed, it is rumoured Olive received around $80 million in the settlement, as well as $400 thousand yearly alimony, although she refuses to comment. Returning to America with her two children and four nannies, Olive bought a sprawling penthouse with views over Redcliffe and set about lamenting her position as the queen of American high society. While it may not have been an active decision it was definitely a swift move. At the tender age of 25 Olive had done the impossible – pushed past the rows of grey haired doyennes who guard society like the crown jewels and usurped them – placing herself in their position. A few years back in Redcliffe and Olive had built an impressive reputation for herself. She donated generously to charity (to date she has gifted over $400 million), she gave dinner parties for the rich and famous, and had begun building her impressive collection of jewels, antiques, and artwork. An interest in everything the high life had to offer such as the ballet, theater, art openings and constant travel, led her to husband number two – Dimitri Stanislopolous III. Like Maxwell Elphinstone before him, Dimitri came from a prominent European family – the Stanislopolous name is eponymous with shipping, often mentioned in the same sentence as Onassis and Niarchos. 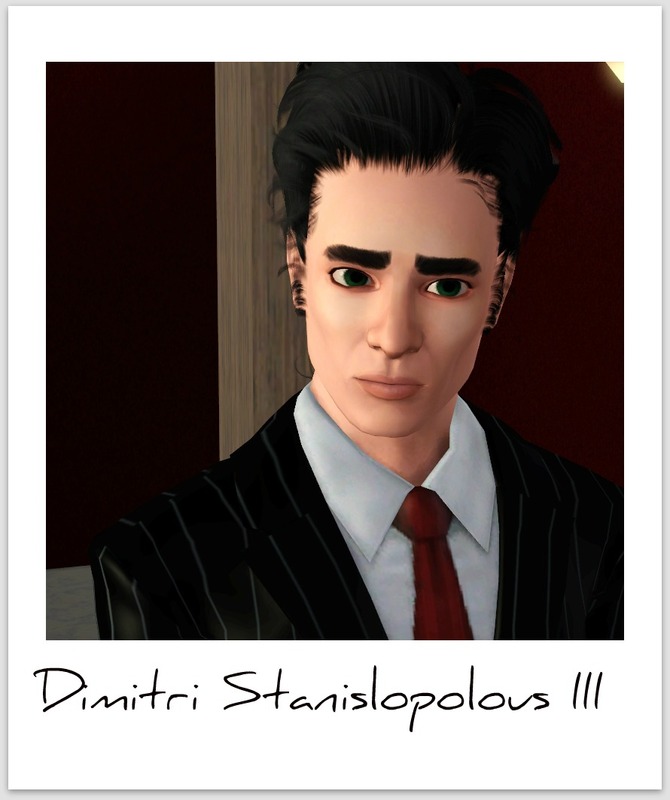 A billionaire from his involvement in his families shipping company, Dimitri was a well known aging party boy who was just beginning to settle down and take care of his investments. A whirlwind romance followed, a prominent American socialite and an infamous Greek shipping heir seen together – it was tabloid gold. Splashed across the front page of every magazine from here to Australia as they toured the world at various parties in London, New York, Bridgeport, Paris, Athens, Rome, and Sydney, the couple were soon hounded by the press, everyone wondering if they would marry. Dimitri shocked everyone by doing just that; fending off marriage for years, the world watched with baited breath as the big day came, and hundreds of photographers crowded the gates of Redcliffe Botanical Garden when the couple married on the 18th of June. While Olive and Dimitri tore their way through the world on The Sky King, a jet which she would receive in the impending divorce settlement, Olive’s two children began to dabble in all of lifes pursuits. Both enrolled at St. Rudolphs, the notoriously expensive school in Redcliffe, the two children – who are very close, they share an apartment in the city now – began changing from their navy blue school uniforms, slipping out of white tights and beige pants and into black leather and daringly short skirts. Angels they were not. 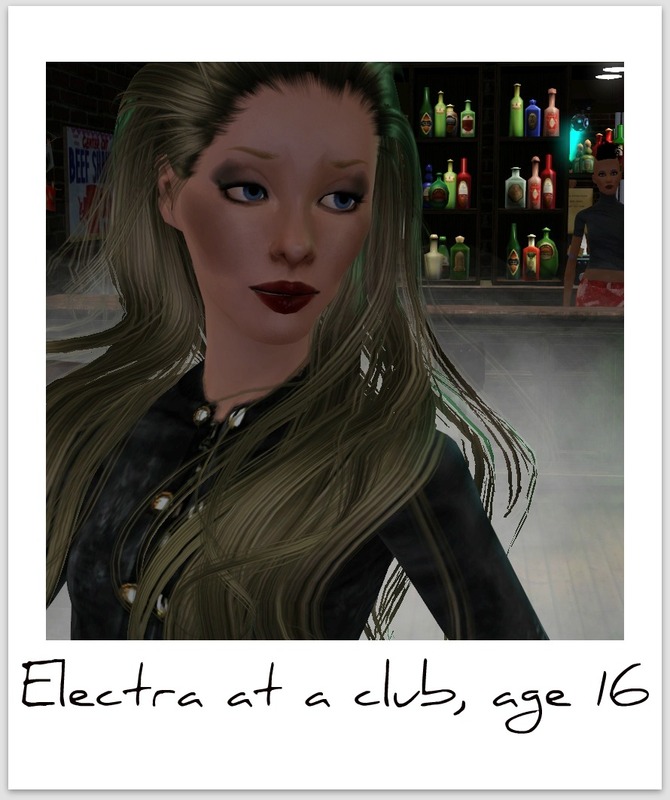 Electra was frequently pictured leaving different clubs highly intoxicated, always with a new man on her side. All of her activities remained unknown to Olive, who was fighting her second divorce. The world waited for the divorce to be finalized, all desperate for details of Olive’s second divorce settlement. Again, with that tight lipped scrutiny about money that so many of the wealthy employ, Olive refused to comment. Speculation is all over the place about the amount she received; the aforementioned Gulfstream 650 jet will have set Dimitri back around $50 million, and Olive also received a yacht – appropriately named The Golden – which has been cited as costing somewhere between $200 and $250 million, as well as a sprawling estate on the Greek coast with a cool $30.4 million price tag, an Athens penthouse, two heavily customized and bulletproof Maybach 62 limousines worth around $1.2 million, a six story townhouse on the Upper East Side in New York, and a reported lump sum settlement of $1.2 billion, with additional alimony payments. The lack of a pre-nup made Dimitri rethink his next marriage, and his second wife reportedly signed an iron clad document. With nothing coming from Olive we’re all free to speculate, but we do know it was definitely a hefty sum. With the help of Dimitri’s money Olive continued her extensive charity work, appearing at benefits and galas across the globe, often as the guest of honour. Scrutiny over her increased, with the world wanting to know what she wore, how thin she was, how much money she had, who she was dating, where she was going. With the money from her divorce settlements Olive purchased a sprawling ranch, Belgrave Ranch, where she started breeding horses, and used it as a weekend getaway. She also became more interested in art, purchasing master after master, solidifying her position in the art world forever when she famously purchased the stolen Vermeer painting The Concert back from the thieves in an amazing exchange, before donating the piece back to the Isabella Stewart Gardener museum in Boston from which it was stolen. With two divorces under her belt the socialite now had a new man in her sights – wealthy New York financier Marcus Van Aston. Romance quickly caught up Olive once more, and before long another marriage was taking place. During this time other members of the Belgravia family, who had remained distant, began to come into their own across the world. 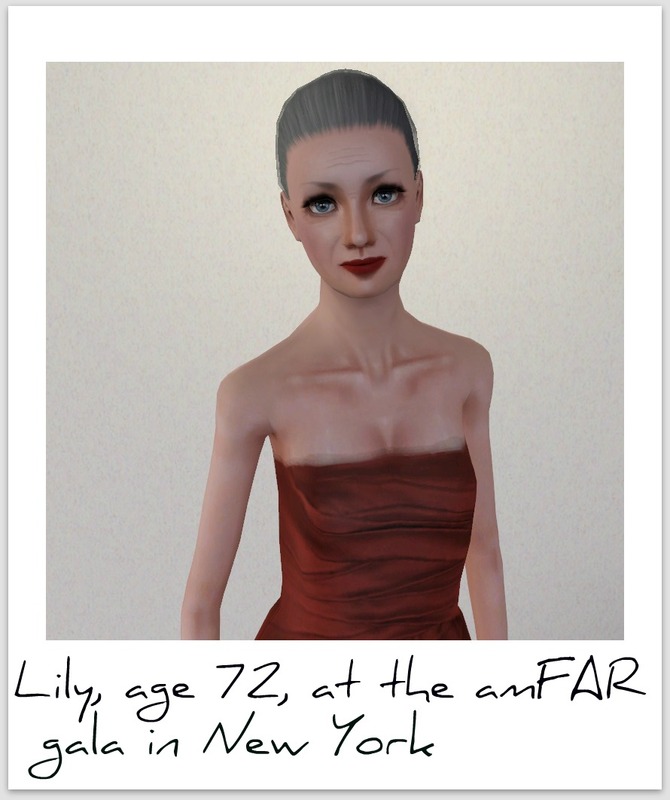 After the death of the matriarch of the family, Lily Belgravia, a few years ago, the family were under the spotlight more than ever. Oriana and Jasper’s children Freddy and Maria found their careers soaring as everyone was interested in what they did. Marquis and Andrew Belgravia-King, the children of Alexandra and Jeremy, were the only ones who stayed away from the spotlight; both doctors, people could only speculate on what they were like, although that is changing recently as Marquis’ son Isiah is often seen at the Buenos Aries clubs with a number of different girls on his arm. 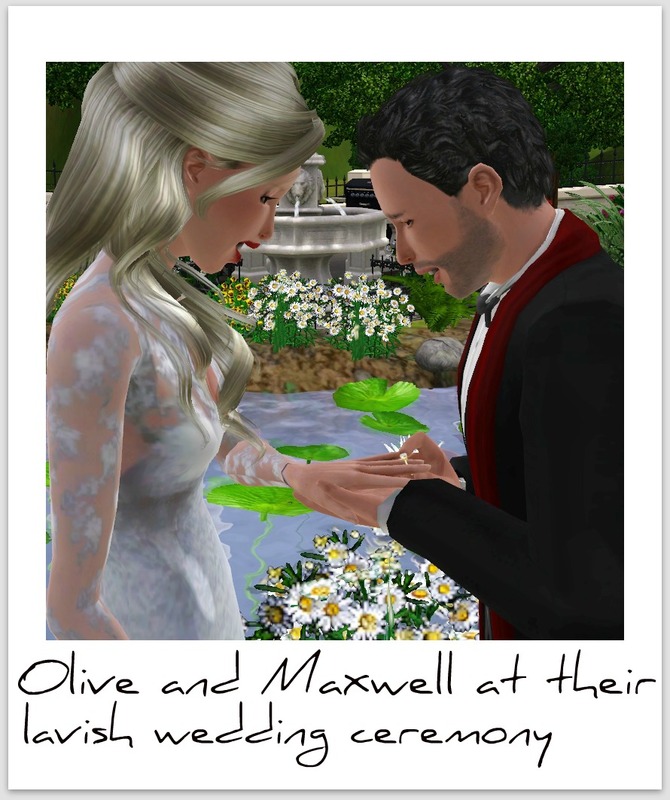 On the 1st of July Olive and Marcus were married at the Almudena Cathedral in Madrid. It was a lavish wedding with members of the European jet set converging on Madrid for the ceremony. 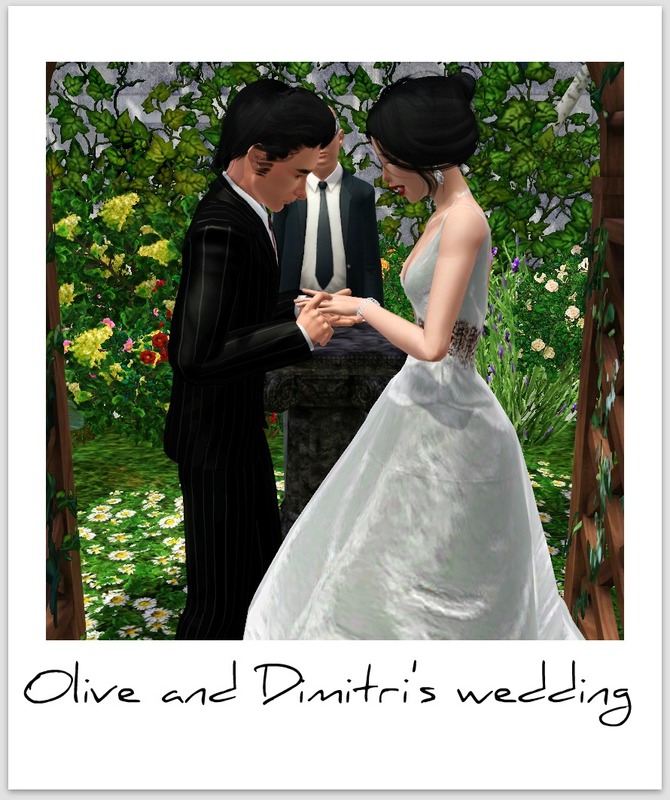 The couple took off on Olive’s yacht The Golden from her divorce settlement to Dimitri, and set about on a world tour. During this time Olive’s children, who had now left school – both without any grades – moved in together in a tiny apartment in Brdigeport. Olive will not elaborate further on the subject, but property records show Electra Belgravia purchased a modest $1.2 million loft in downtown Bridgeport, with money presumably from her grandmother. 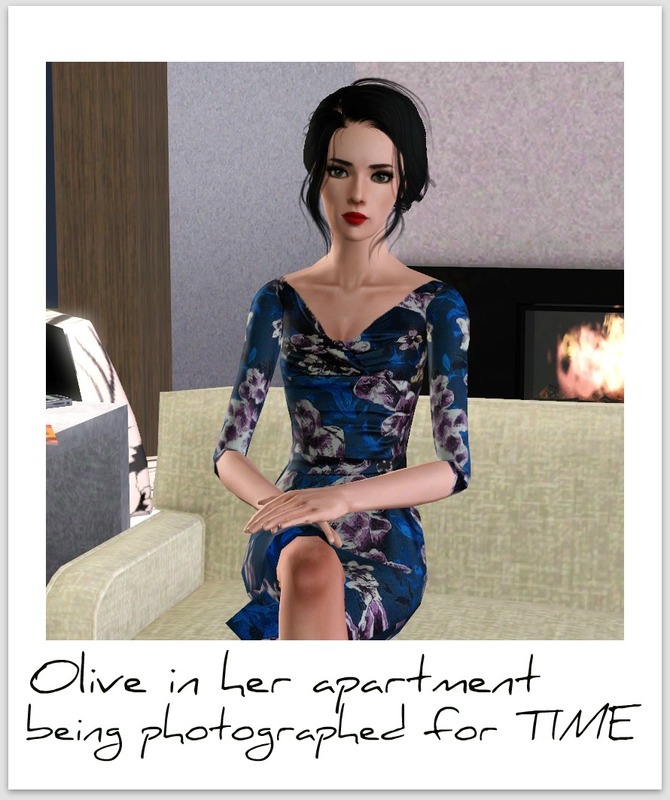 With property prices dropping across the globe Olive took this chance to purchase several luxury properties, adding yet more desirable real estate to her portfolio. The six warehouses are in fact, famous in themselves. While Olive will not go into detail about what was kept there, it is said at least three Rembrandts, five Monets, a few Gainsboroughs and even another Vermeer which she purchased from the MET were stored there, all under twenty four hour security at a cost of $45 thousand a month. As well as the impressive art stored in the temperature controlled warehouses there were also a number of priceless antiques, which included a red lacquered desk commissioned by Louis XV for his study at Versailles, which has been said to be the most important piece of French furniture ever to touch North American soil. 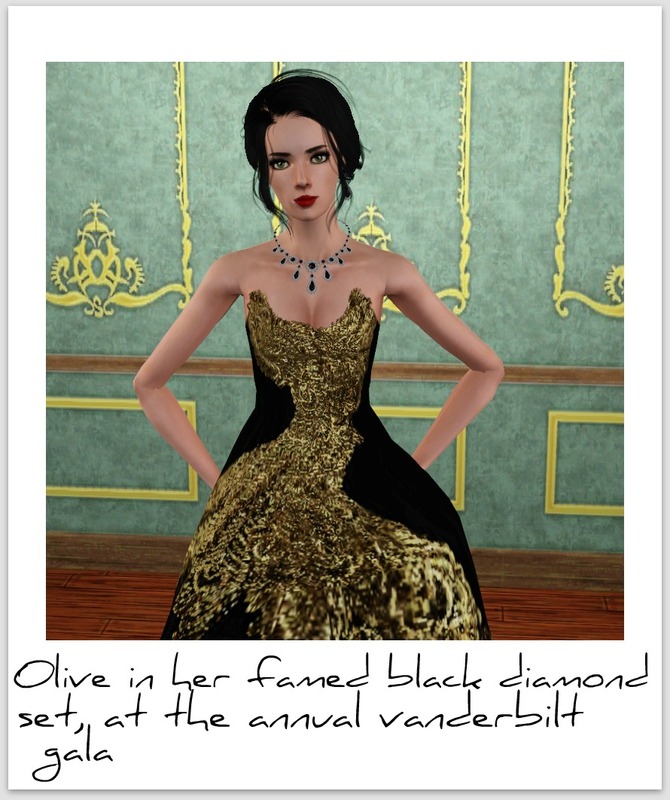 During this time Olive also became highly prominent in the fashion world. Always seen at Fashion Week in New York, London, Paris, and Milan, she began to garner the atention of prominent designers, and cultivated friendships with Karl Lagerfeld, Anna Wintour, and Phillip Treacy. Her thin frame, which has been scrutinised over the years for not offering a healthy body image to young women, allowed her to fit effortlessly into the sample sizes of the designer wares she is often seen in. While her weight may have came under scrutiny over the years, it definitely acted as a catalyst for her growing wardrobe. It is estimated that her couture wardrobe comprises 2,500 garments in total, as well as 450 pairs of shoes, 70 hats, and 200 handbags. Real estate blogs reported her addiction to haute coture led her to the conversion of two bedrooms adjacent to her master suite simply for room to store all her clothes. Whatever Olive says to the contrary, shyness does not seem to be one of her attributes. As we sit together during lunch no less than seven people approach the table to greet her, all engaged in the same polite conversation, with a lot of smiles and laughs, before Olive gently moves them on – it’s an art honed by years of practice. 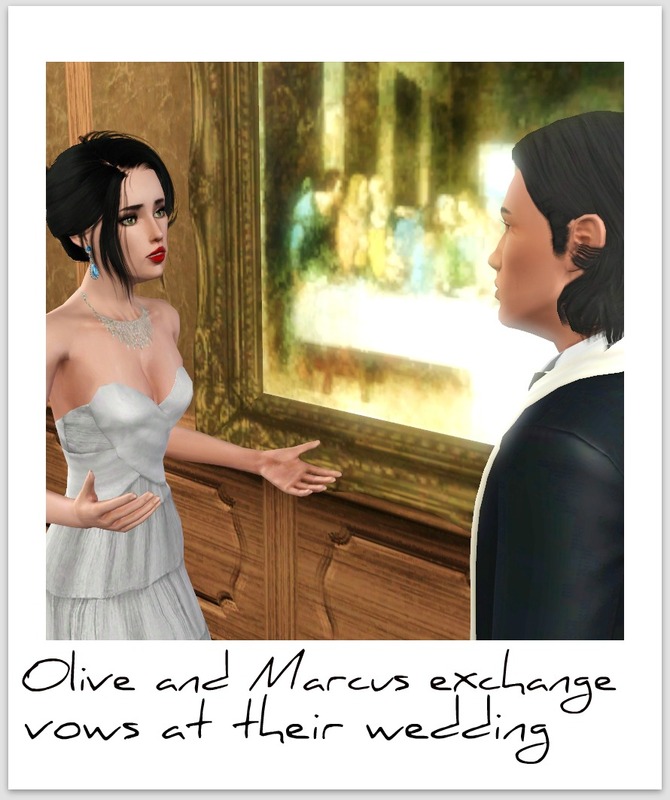 Olive and Marcus continued their never ending round of socializing over the next few years; summers spent in Palm Beach at her impressive Mar-A-Lago estate which she purchased from Donald Trump (“a close friend”) for an eye popping $56 million; winters spent in the Seychelles; christmas in St. Barts (where she was recently a guest at Roman Abramovich’s famous New Years party) and St. Tropez; and a never ending round of jet setting in between. While her position at the top of society had been lamented for years, and continued to solidify with her endless rounds of parties (dinner parties for the Churchill’s were hosted in Palm Beach, cocktail parties in honour of Barons and Earls at her Mayfair townhouse, and continued sightings of her in the front row of every fashion show from New York to Milan) her love life was, again, suffering problems. The woman of whom Olive speaks was none other than her long time friend Niya St. Alderton, whom she met at a party in China before her marriage to Dimtri. As was hashed out in the gossip columns, Niya had taken up with Marcus after the death of her ailing husband (pharmaceuticals billionaire Alan St. Alderton), eventually driving Marcus to divorce Olive. In fact, in his hurry for a divorce from Olive, he sidestepped the pre nuptual agreement they had both signed to protect their considerable wealth and settled the divorce with an undisclosed sum, which has been speculated to be around $500 million. While Olive’s fortune (and her number of ex husbands) grew, her children began dabbling in the music world. 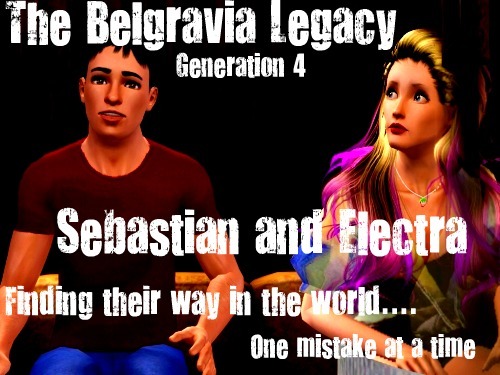 As members of the Belgravia family, pictures often appeared of Electra and Sebastian performing gig after gig in Recliffe, and eventually Bridgeport. The music never really took off, and a rumoured recent split in the band has left the fans wondering if ‘Revolutionis’ will return. Charles Peredin-Bauer. You will most likely know him as the recently elected governor of the Bridgeport district, but before his prominent political position Charles engaged in a multitude of businesses. Building up a publishing company from nothing, Charles had made his first million by the time he was 22. Twenty years later that million would have multiplied into over 7 billion dollars, giving him enough cash to fund his ascent into politics. Divorced from two supermodels on his way to the top, Olive was his third wife, and he her fourth husband. Recent years have seemed to turn Olive’s fortunes around for the better. With the relationship with her children on the up after many years of animosity (she was spotted boarding her daughter onto The Sky King just a few weeks ago, exchanging tender smiles with her in the pictures) and a relationship which she assures us is ‘the one’ the woman seems to have finally gotten everything together. We all hope it will last. I hope you enjoyed this, I’m having a few problems with my game so I decided to write a little something to keep you guys interested. 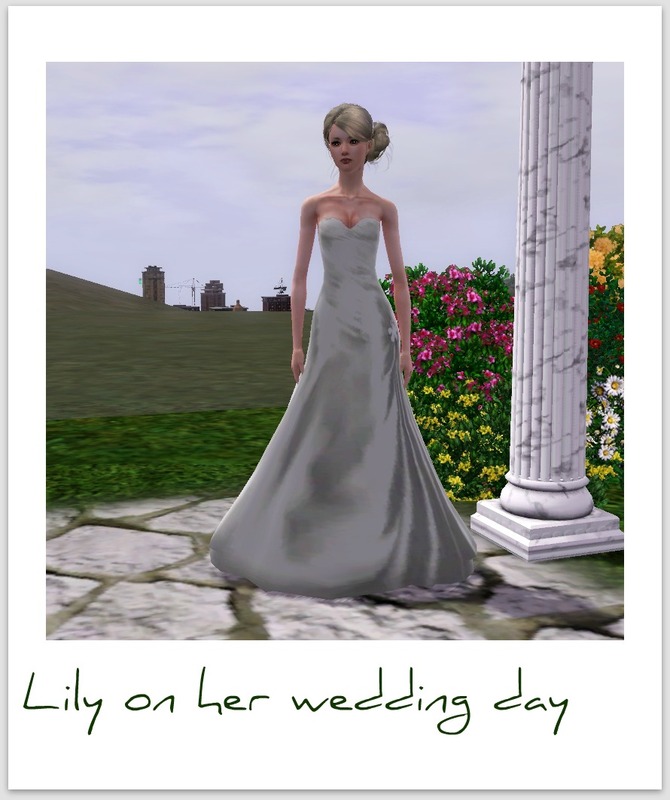 This entry was posted in Extra, Generation 3: Olive and tagged apartment, coture, divorce, high society, jetsetting, legacy, marriage, new york, sims 3, wealth. Bookmark the permalink. Hi Marissa! How are you? I’m sorry I’ve missed a lot, but I’ve just caught back up! I loved the last chapter, all of the characters at the house seem so interesting, can’t wait to find out more about them! I also really liked this interview! It was a great post, and the pictures really accentuated it. Hi Marissa, is everything ok? You haven’t been on your blog in a while, I’m missing the Belgravias and your comments!